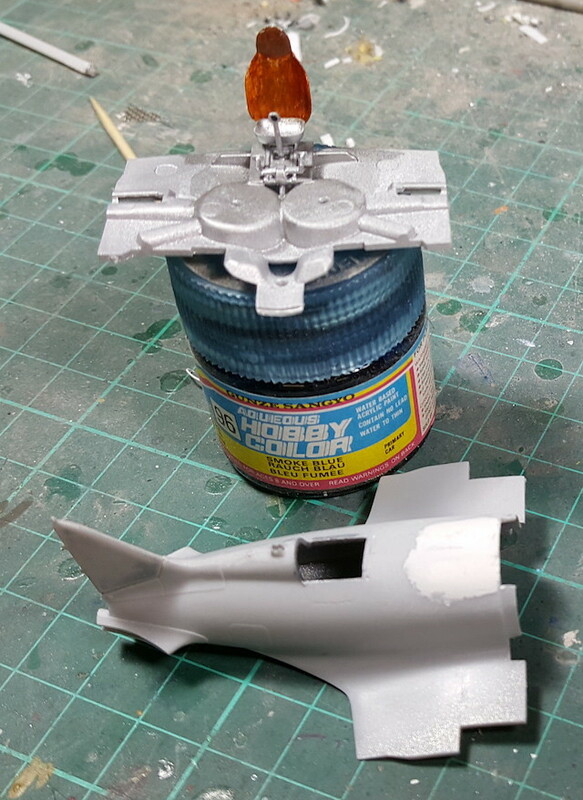 Almost the smallest 1/72 aircraft in my stash, this will be getting racing upgrades. Different cockpit canopy, remove some bumps, racing colors? Red with blue racing stripes - Russian team colours for the Aerolympics. Neat. I have also thought about an I-16 as a (great patriotic) racer - looking forward to this one. 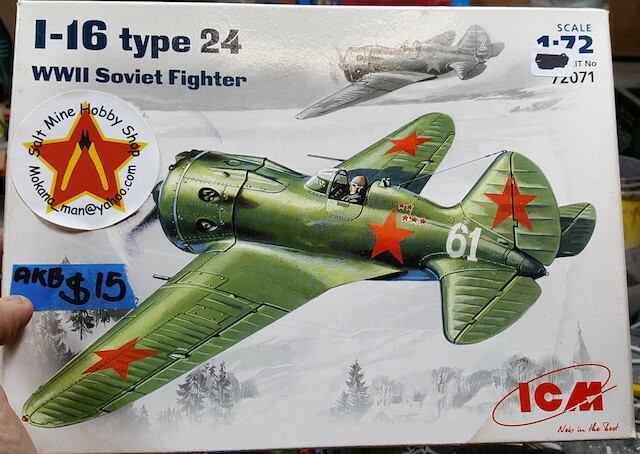 Somehow, a racing I-16 would be like an updated Gee-Bee, no? Joystick and floor/armoured seat back glued to wing centre section. Props and Engines box rummaged in but no decision made yet. It looks very well engineered and i'm looking forward to putting it together. Good! I love this GeeBeeski start! 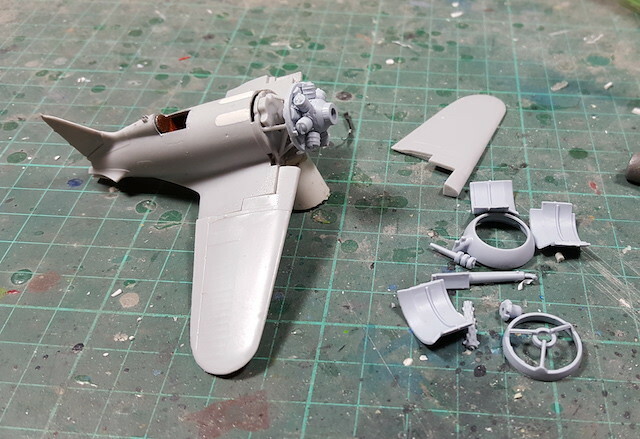 Do you have a spare Corsair or Beaufighter engine/cowling? Or are they too small diameter? How about A-26? I have a particular engine in mind. I have yet to offer it up to the fuselage. Hardly any modelling time today (working 0600 to 0900 and then 1200 until 1700) but I did manage to get the engine mounting bulkhead attached. This means I can start playing with engines. First of all, an engine has been selected. I'll come up with a Russian name when I write the back story but it's an Airfix Bristol Hercules from the new Beaufighter tool. And then I glued the wings on, had lunch and then dealt with the joints. 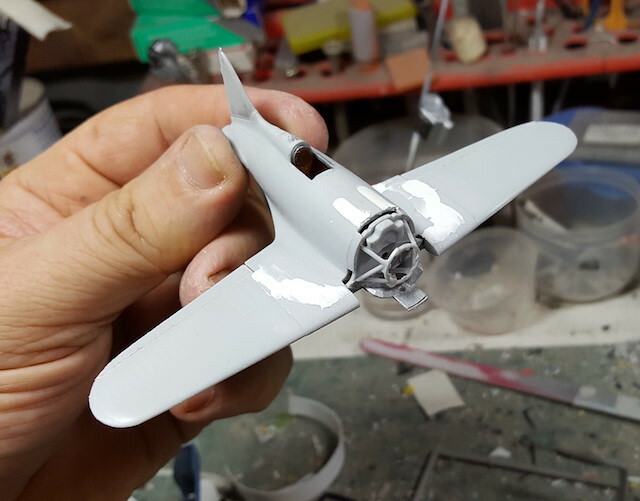 The outer wings are one piece items with a complicated stepped join. This needed filler and there was a step. There was also a step at the rear of the centre section underneath. It might have been possible to avoid the step on the outer wing joins by shimming the underneath part but then the step at the back would have been even worse. On the plus side all the fuselage seams and interior fits up to this point were perfect. Now the tricky bit. Blending in cowlings.